Following acclaimed concert performances last year at the Arts Theatre, Six the musical featuring the six wives of Henry VIII continues to tour before returning to the West End in January by popular demand. From Tudor queens to pop princesses, the SIX wives of Henry VIII finally take the mic to tell their tale, remixing five hundred years of her-storical heartbreak into a 75-minute celebration of sisterly sass-itude. 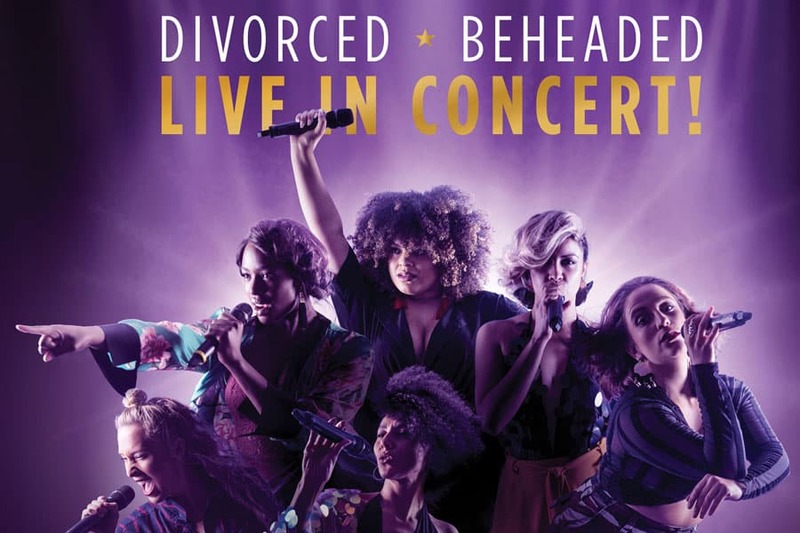 Powered by an all-female band and with songs including Ex Wives, Haus of Holbein and Don’t Lose Ur Head, this pop concert musical by Toby Marlow and Lucy Moss is widely tipped to be one of the most exciting new shows of 2018. The cast of Six includes Jameia Richard-Noel (Catherine of Aragon), Millie O’Connell (Anne Boleyn), Natalie Paris (Jane Seymour), Alexia McIntosh (Anna of Cleves), Aimie Atkinson (Katherine Howard), Maiya Quantash-Breed (Catherine Parr) and Grace Mouat (Catherine Parr). Due to over-whelming demand producers have announced that Six the musical will return to the West End for an open-ended season from January 6th. Book Tickets. Six is directed by Lucy Moss and Jamie Armitage, choreography by Carrie-Anne Ingrouille, set design by Emma Bailey, costumes by Gabriella Slade, lighting design by Tim Deiling, sound design by Paul Gatehouse, musical supervision by Joe Beighton and orchestrations by Tom Curran.